Sarah was looking for a new home in Southeast Portland, OR. 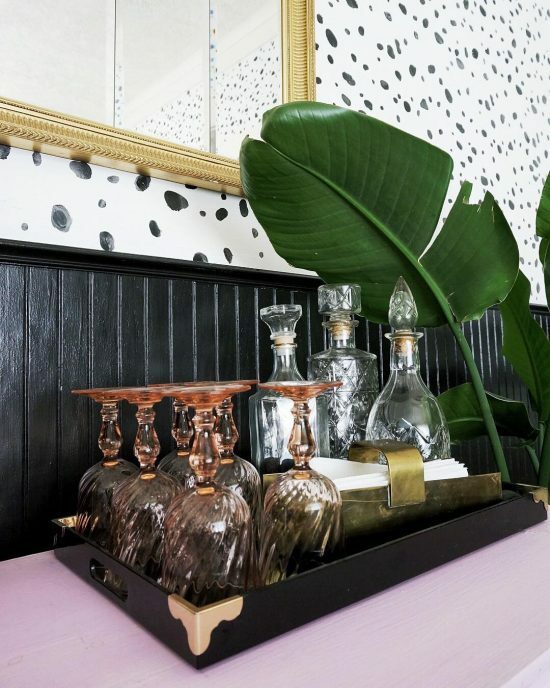 Sarah wanted the style of her new home to be a bold combination of black and white, tropical greens and soft pinks with modern brass elements. 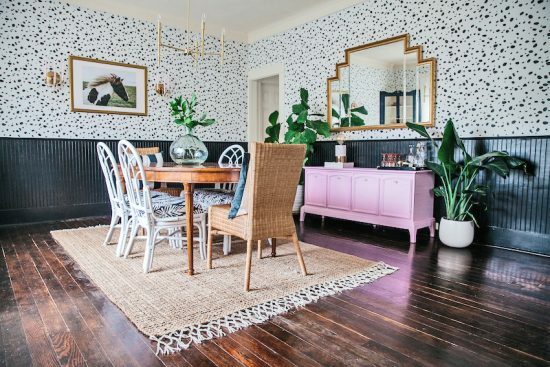 She knew she wanted to add some pattern to the dining room walls. Wallpaper was not an option because it was too expensive and a hassle to install. 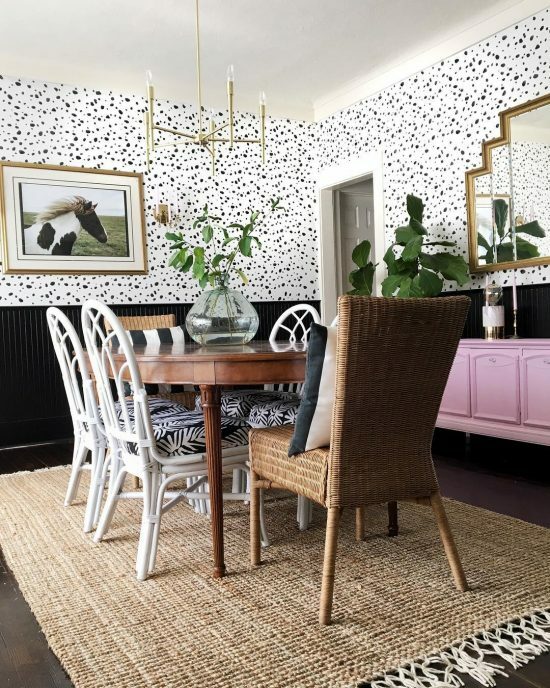 Sarah searched for alternative DIY wallpaper options and fell in love with the idea of stenciling. 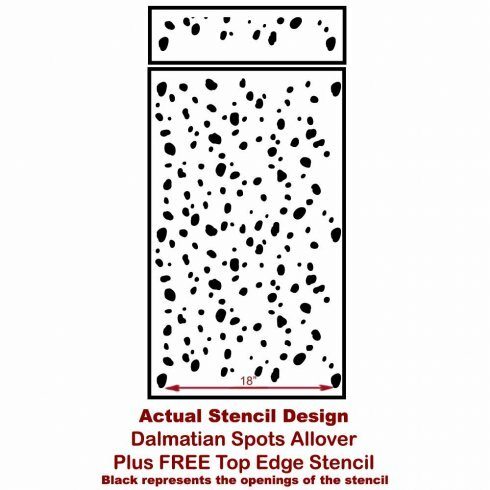 She browsed our large collection of stencil patterns before selecting the Dalmatian Spot Wall Stencil. This trendy stencil pattern is all about the dots and spots. The walls had been painted in a neutral white hue. With her stencil in hand, she was ready to start her project! 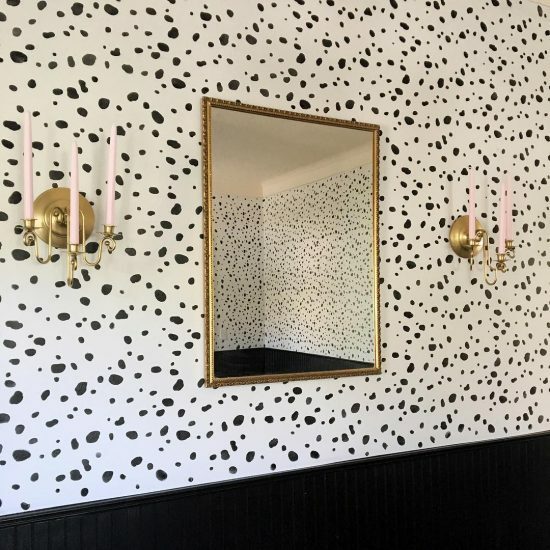 She used blue painter’s tape to hold the spots wallpaper pattern in place. She poured her black paint into a foam tray and then painted the pattern using a dense foam roller. The clip on stencil level is a very handy stenciling tool for a project like because it will help ensure the pattern is even on the wall. If you are recreating this project at home, be sure to roll off any excess paint to eliminate bleed. After each section of the stencil is complete, simply untape it and reposition to finish the pattern on the wall. It can be helpful to clean the stencil in between uses. For more information on how to stencil, please check out our stencil tutorials. Once her stenciled walls were complete, Sarah stepped back to admire her beautiful wallpaper pattern. Here is a close up of her impressive accent wall! 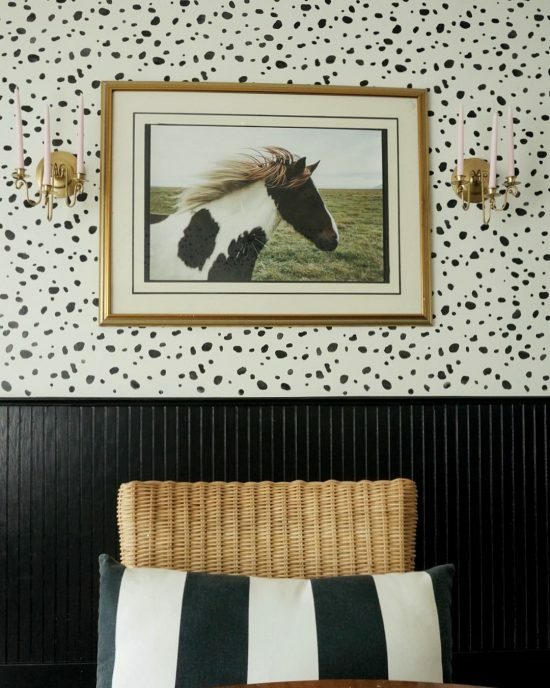 We love the bold color combination that she chose for this spotty design. 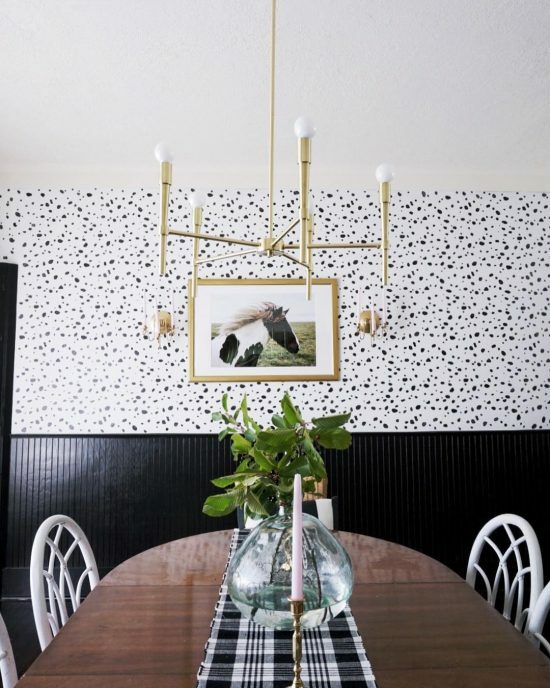 Tell us, where in your home would you stencil the Dalmatian Spots wall pattern? Leave us your thoughts in the comments below! 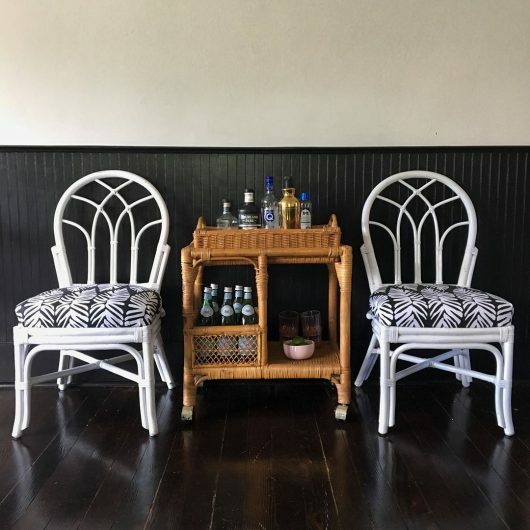 Buy a stencil online and update your space today!